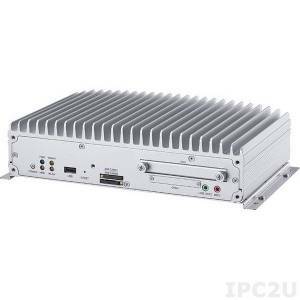 The VTC-6220-BK is a vehicle embedded PC based on the Intel Atom x7-E3950 processor. 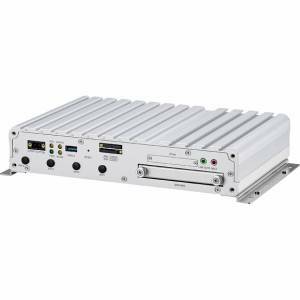 It has four cores and clocks at 2.0 GHz, it is supported by a maximum of 8GB DDR3L SO-DIMM memory with a clock of 1333 MHz, in the basic version are 4GB installed. The two 2.5" slots for SSDs can be reached from the outside, retrofitting SSDs with larger capacities can be done without having to open the housing. 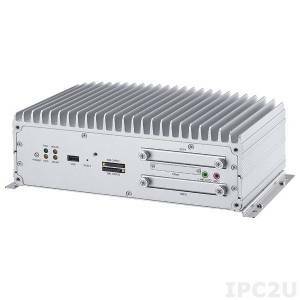 In order to communicate with the machines and equipment available on site, special interfaces are needed, the VTC-6220-BK has the two most important of these interfaces: CAN 2.0B and SAE J1708/1939. 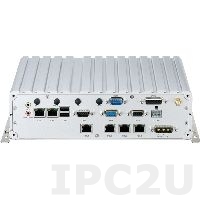 There are three Gigabit Ethernet ports are available for network sharing, two of which provide PoE functionality on request. 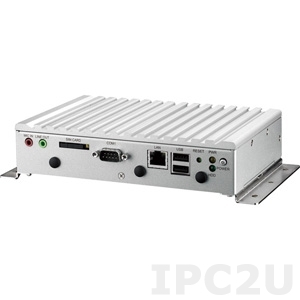 External displays can be connected via VGA or HDMI, by request a LVDS connector also can be installed. If wired network is not available, the WAN connection can be used. In total, four SIM cards can be installed in order not to depend on the network of a single provider. Position-accurate positioning is based on a built-in u-blox M8N GPS module. An emergency battery is installed in the case so that the BIOS does not lose its settings in the event of a battery failure. The operating system can be next to Yocto and Windows 10 are used. The extended operating temperature range is from -40o to +70oC. The device is CE, FCC Class A and E13 mark certified.